'20' celebrates 2 decades of music from the Godfather of Finland's always-flourishing trance scene. Orkidea's new long-player takes a transfixing, episodic look at his personal sound experiences throughout the last 20 years of trance. Enter the world of 'retro-futurism'. Enter the world of Orkidea. Possibly the greatest unsung hero in the genre ever, over his 20-year trance mission, Orkidea (DJ and master-producer Tapio Hakenen) has always been the man that's let the music do the talking. In spearheading the rise of Finland as a force on the global trance stage, he paved the way for acts like Super8 & Tab, Darude, Alex Kunnari, Joonas Hahmo and numerous others to break into the scene. Notably, on his TATW radio show, Paavo Siljamäki of Above & Beyond cited Orkidea as one of the reasons he started making trance music. '20' delivers what Orkidea terms a "retro-futuristic" vision of trance music. Having played in the genre since its earliest dawn, it's an area he's as well versed in as any. The album re-examines themes and sounds spanning two decades, recalibrating them to 2011 levels and with the most up-to-date studio tech currently available. It shines a light into lesser-known corners of trance - there's nothing that can be considered obvious or overt on '20'. Where he references or revisits the classics, they are of the double-deep underground variety - the tracks that Tapio considers to be the true anthems. His third long-player (following 'Taika' and 'Metaverse') weighs anchor with the washing pacific equilibrium of 'Beautiful'. With its profoundly progressive production bedrock, agile synths and spoken word vocal (which many will recognise from a famous space saga), it stands as a brilliant overture to the album. Considered by many to be one of the most in-the-know trance tracks ever, Der Dritte Raum's 'Hale Bop' is regularly discussed in hushed, revered tones from chillout rooms to website forums. Alongside fellow Fin JS16, Orkidea has reduxed 'Hale's sensational, rising/falling riff - advancing every element of the 1998 production reintroducing it to today's floors. Likewise 'Sun Down' flashes back to 1993, and sees Orkidea reboot Sven Vath's Eye-Q classic in glinting, ear-catching fashion. If 'Slowmotion' (Orkidea and Solarstone's last in-studio collaboration) paid ear-service to Sasha and Digweed's Renaissance times, then its sequel 'Slowmotion II' will surely do the same for Mike Oldfield. Its looping, filmic bell-chime melody locks the attention before finally releasing outward into a powerful trance voyage. That provides a gateway to Orkidea's remix of Art of Trance's epic, dramatic 'Chung Kuo'. Itself a cover of Vangelis' track, it's pulsates wildly and notably features not a single breakdown in its entire runtime! 'Tw3nty' - the album's title track – grafts a bigger room mentality to a prog-trance backing, culminating in an enormous stabbed riff and soaring pitch bent sirens. As the album hits its final third, so '20's gears continue to shift upwards - moving away from prog-trance and into more rapturous areas. On Way Out West's 'Killa', Tapio to all intents and purposes reworks his rework of Nick Warren and Jody Wisternoff's dub-vocalled floor-conqueror - tweaking and retouching his remix 6 years on, especially for the album. 'Hot Trigger' meanwhile is a fast moving peak-time floor assault that uses running bass, loud claps and hats and holds back a knockout blow for its big post-break moment. 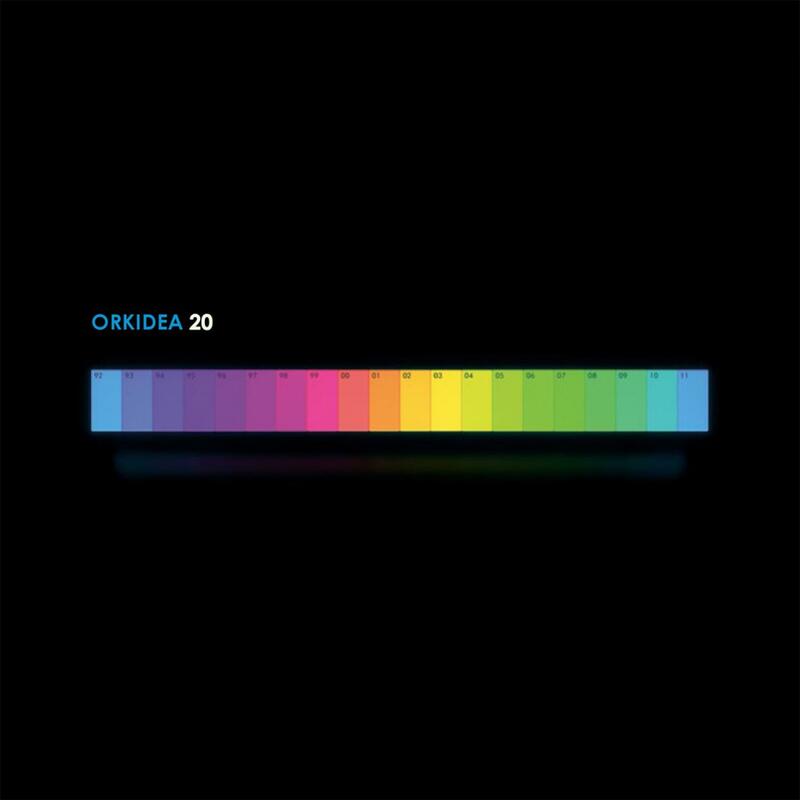 Crowning the '20' album is Orkidea's new mix of 'Unity'. The track that started it all for him, it set an enormous precedent for his production career and was, in effect, Finland's first trance release. On its original release the track was champed by the proverbial cross-section of DJs (Sasha, Tong, Oakenfold, Warren and Seaman included). With his elite 15th Anniversary remix, another chapter of 'Unity's legacy has been opened, with Orkidea intensifying the track into a sensational, 10+ minute kaleidoscopic soundscape. If you've waited until now to discover the mastery of Orkidea music, the 11th day of the 11th month of the 11th year will be your best opportunity yet. '20'. Don't miss it.